Over the past year O-Lynx has continued to establish itself as the best way to maximise the spectator appeal of orienteering events in the Oceania and Americas regions. 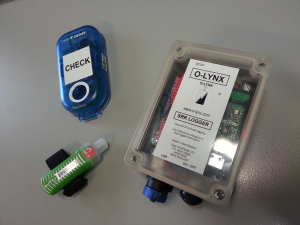 National championships in New Zealand, Australia, and the USA again made full use O-Lynx software and radios. Most Australian States now have access to O-Lynx radio equipment, while in the USA it was pleasing to see some clubs start to adopt O-Lynx for use at all their local events. 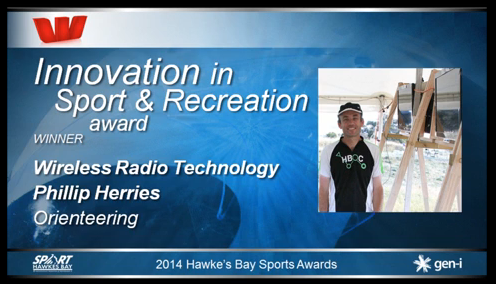 The beginning of 2014 sadly saw the last of the Sprint the Bay events being held in Hawkes Bay ( at least for now ? ). These events have not only been excellent for competitors but proved to be the ideal testing ground for the development of the O-Lynx technology. The need to move between 2 or 3 event centres in a day certainly put the emphasis on making setup as easy as possible. 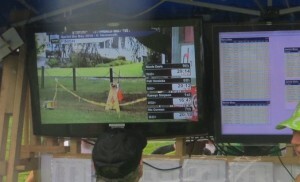 This year’s Sprint the Bay was the first time I used O-Lynx to provide an overlay of results with the video feeds from cameras located at the events. It was a steep learning curve but also an eye-opener of how low cost and easy it can be to produce professional looking quality coverage. The ability of these events to attract visitors from out of New Zealand was a key driver in the expansion of O-Lynx users to other countries. In May it was nice to be recognised from outside the sport of orienteering as the recipient of the Sports Hawkes Bay, 2014 Innovation in Sport and Recreation Award. In the middle of the year I travelled to the World Championships in Italy to speak about the ways technology can be used to enhance all events. The presentation is available on the IOF website using the following link…. http://orienteering.org/wp-content/uploads/2013/03/09b-Using-technology-to-improve-all-events.pdf Thanks to the IT Commission for providing the opportunity to speak and I hope it provides some ideas of simple ways to make orienteering better for everyone. In attending the races themselves, both WOC and the Italian 5 days, and talking to people, it was interesting to see that there was a lot of room for O-Lynx type technology to improve the events for spectators. Also somewhat disappointing that it is seen by many as overkill for club level events, when it reality, these are the events that can gain the most with the simple use of some of the technology, especially with regard to making the events welcoming for newcomers. Changes in equipment continue to happen so it was good to find that with the introduction of the Sportident touch free Air+ system, testing showed that the O-Lynx SSR radios were compatible. A proof of concept Air+ logger was also assembled and has been sent to a MTB Enduro organiser for testing. This provides a way to backup Air+ punches as unlike existing controls, no punch history is stored within the units themselves. 2014 was also when I tested using O-Lynx for its ability to be used as full event software by running 2 events using only O-Lynx software. O-Lynx is usually used alongside existing event software as doing so allows it to be easily integrated into what a club or organisation already own and know. At these 2 simple events however, O-Lynx was used on its own to download and print results. O-Lynx software doesn’t have all the features and abilities of some of the other software out there. However, it was a good to develop and test the functionality in case there are ever issues in working with certain third party software. As usual, during the year, there were a lot of changes to the software as new ideas and ways to further improve the O-Lynx experience for both the operator and viewers were found. 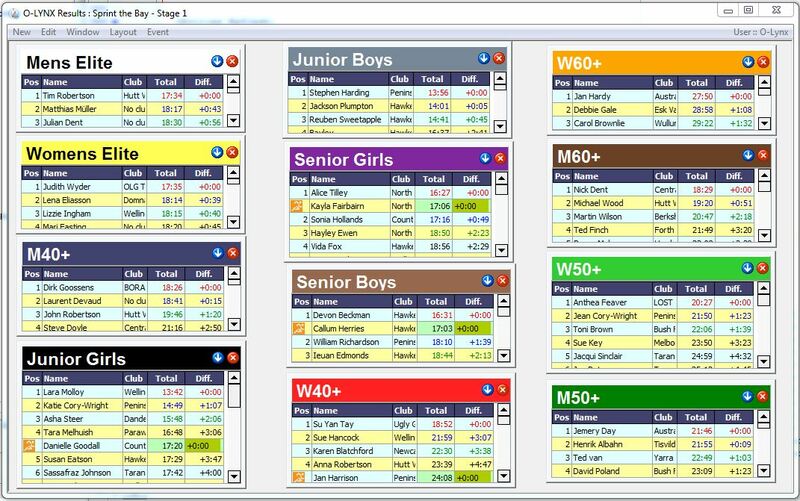 Even something that seemed such a small change – making the header colours settable to match the course colour code – was found to have a large impact on spectators being able to easily understand what they were watching on the O-Lynx screens. As shown above, the results screens also gained the ability to show images and slideshows. 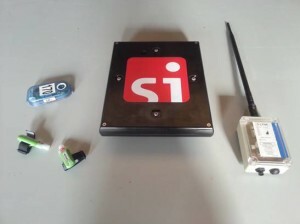 This makes branding, sponsors messages or event photos and maps easy to show along side the results. Autodownload support was added to the software this year – widening the number of events that O-Lynx can easily be used at. For live web results, O-Lynxlive was shifted to a scalable server to better cope with large numbers of viewers. 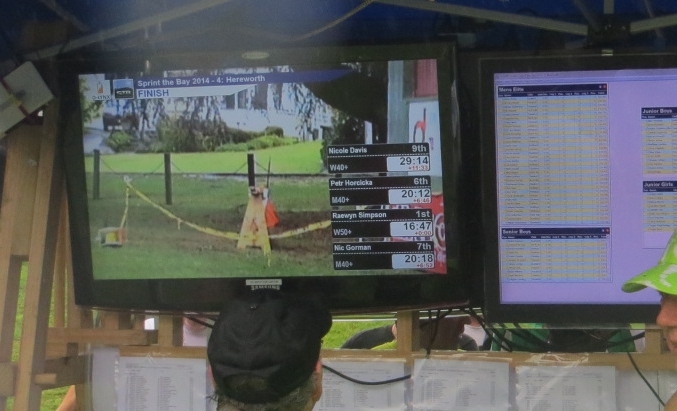 O-Lynxlive was also updated to display relay information on the web in the same way as at events, making live relay coverage much easier to understand for viewers. 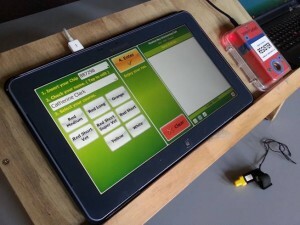 O-Lynx Touch has now been used by a lot of clubs for a full year now to provide self-entry at events. 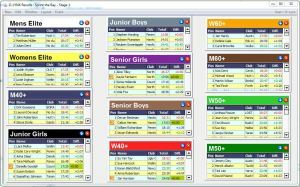 This software has had a huge impact at my own club with an un-manned registration table now seeming very normal. That’s not to say no one is around, it’s just that they don’t need to know anything about the software and can spend their time welcoming and introducing new people to the sport. The 2015 Oceania Championships and first round of the 2015 World Cup kick off in Tasmania, Australia in a few hours with the World Cup Sprint qualification race. While I am not there, again O-Lynx technology is playing a major part. With planning already under way for other events, it looks like the coming year will continue to be as busy as the last one as O-Lynx continues its goal of unleashing the potential of orienteering by making the sport more visible.